But Pinterest isn’t just about pinning cute little things to your boards. There’s a method to the madness and maximizing on those methods and implementing a strategy makes all the difference, especially if you’re a beginner blogger. Pinterest is a visual search engine and it has a Smart Feed that shows people things they might like on Pinterest and things that are similar to what they have pinned before. And aside from your typical boards on the platform, you also have something called group boards. Group boards are kind of like personal collections of pins where multiple people can also pin to them besides the board owners. The owner of the account can invite people to collaborate on the board. Most of the time, the board has a specific theme or topic and there are usually rules that collaborators have to follow in order to remain in good standing to continue to contribute to the board. They go by several names like group boards, collaborative boards, community boards, etc. but they are all the same thing. They’re a place for bloggers and business owners to come together to share their pins about related topics and help each other grow their online presence. Why should I use group boards? Group boards are great because they help your content and your pins get seen by a wider audience. I honestly believe that it will be very difficult to grow your account if you’re not joining group boards. It’s practically a requirement. Collaborators on the board pin their own content and also pin from the board as well. This helps because their followers could possibly see your content as well. Since Pinterest has a Smart Feed in place, there is no guarantee that your pin will be seen if you are pinning to irrelevant or very general group boards. Click here to apply to my group boards! That’s why it’s important if you want to join Pinterest group boards, to make sure that they are specific to your niche, are something your followers would be interested in and have good engagement rates. These boards have lots of benefits that you couldn’t really get if you were just using personal Pinterest boards. They help grow your account and give you access to new resources. Plus they help you meet new bloggers, clients, and potential email subscribers! How can you tell if it’s a group board? You can tell when a board is a group board by just looking at it! If you are on someone’s profile on Pinterest, you’ll see multiple pictures of the users on the board. If you click on the board, you’ll also see multiple people on the board. Are group boards still relevant? I’ve heard some questions and doubts about whether or not group boards are still relevant. Some people are wondering if they still hold the same weight when it comes to the Pinterest algorithm and some are even saying that Pinterest group boards are totally dead. When the Smart Feed happened, certain Pinterest group boards became useless. And these useless boards end up hurting your account in the long run. Some of the “bad” Pinterest group boards are ones that are general with no topic or niche whatsoever. Too many times, bloggers try to join ALL types of group boards of tons of different topics — this is a big NO. But not ALL Pinterest group boards are bad. Pinterest recently spoke out about this topic in a recent conference and they are putting a bit less weight on group boards are more on your personal boards. You can definitely grow + explode your account with group boards. BUT you need to have a well thought out strategy in place to make this happen and you don’t need to focus your entire Pinterest strategy on group boards. It should be just a part of your strategy as a whole. I can’t stress this enough! It’s so important to make sure you find group boards that are about what you post about and are extremely specific because this will give you a higher chance of people actually reading and repinning your content. Boards that are too general aren’t a great place to drive your traffic from unless you’re a lifestyle blogger who writes about many topics. If you’re a lifestyle blogger, these boards might be of use to you so you don’t have to entire cross them off. It really depends on your account and whether or not you’ll see results from these boards. A good example is if you’re a fashion blogger, don’t just join a board for fashion. Join specific boards such as summer fashion, swimwear, boots, etc. The more specific the better! I am part of a few general boards and I’ve stayed on them because my Analytics prove that they are working for me. It’s not always a black and white situation. If you’re in super broad group boards, but they’re yielding returns for you — then you can definitely stay on them! You just need to be able to identify which boards are successful and are a good fit for your blog. And you need to make sure that whatever you’re pinning gets pinned to a relevant board. While Pinterest group boards are great, not all are created equal. Not all of them have the power to bring in traffic to your blog or website. You need to be able to separate and identify the good ones from the bad ones. Pinterest group boards with like a million collaborators are good ones. When there are so many collaborators, there are way too many pins getting pinned to the board. It’s hard to keep up with these boards and it’s hard for the owners to make sure everyone is following the rules of the board and posting relevant content. On the other hand, you don’t want to join group boards that hardly have any collaborators and are inactive. Boards that are very general aren’t any good either. General boards tend to have very low engagement rates while specific ones have higher engagement rates. If everyone is interested in the same topic, pinners will be more likely to go to the board and pin from it. This is because they know their followers will be interested in it. If you’re already in a group board and are unsure of whether not that board is working for your account, then head over to good old trusty Pinterest Analytics. Here’s where you’ll be able to find out which boards are performing the best for you. How many followers does the board have? How many repins are the pins getting? How many pins are on the board? How many collaborators are on the board? Where can I find Pinterest group boards? There are a few ways to find Pinterest group boards to become a collaborator on. 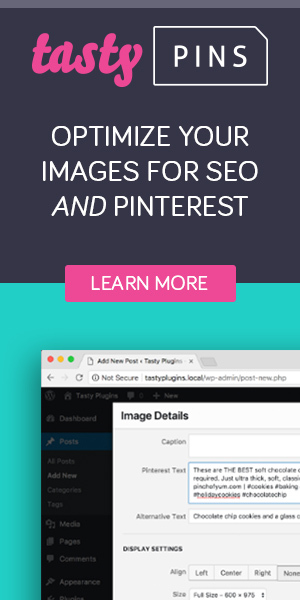 When I first got started on Pinterest, I used PinGroupie.com as my source of finding new boards. Pin Groupie is a directory of all Pinterest group boards where you can search by keywords and see what group boards are out there. In order to find out the repin rate of the group boards you’re interested in joining, PinGroupie has a section just for that. If you see below, here’s a screenshot of PinGroupie when I search for the keyword “beauty.” It shows you how many pins the board has, how many collaborators, how many followers, and the average repin rate. It’s a great place to start. One thing that isn’t so great about Pin Groupie is that it shows group boards even if they are no longer accepting collaborators. So you might have to comb through pages upon pages until you find a board that is actually accepting pinners to the board. If you still are looking for more group boards to join, another great tip is to head over to your favorite blogger’s Pinterest account. By looking at their account, you can check to see what group boards they belong to. They usually belong to many high-quality boards! Once you’ve joined some group boards and have been pinning to them for a while, you should keep in mind that these boards should be evaluated every once in a while. Every quarter, I check to see which Pinterest boards are working for me and which aren’t. That way, I can decide to either leave the board or join new ones that are similar. Here’s where you’ll see the group boards that have the most views on your profile. Here’s where you’ll see the group boards with the most clicks on your profile. You can see which boards have the most Saves as well! I like to check this every so often to check on which boards are performing the best for my account. That way, I can continue to regularly pin to them. And if a board is doing very poorly, I leave it! Pinterest group boards can make or break your account. They can seriously explode your traffic or drive it into the ground. It all depends on what strategies you’re taking on Pinterest. Whenever joining group boards or changing up your methods on Pinterest, make sure to always evaluate whether or not it’s working for you. What’s your biggest struggle when it comes to growing your Pinterest?